It’s that time of the calendar year when we vow to exercise, eat better & lead healthier lives. When making those promises, don’t forget to include Fido & Fluffy! Current statistics from the Association for Pet Obesity Prevention tell us 60 percent of cats and 56 percent of dogs are overweight or obese. This equates to over half the pets in our nation or 50 million cats and 42 million dogs. When speaking with my pet owning clients, the majority don’t see their pet as overweight. By the time a pet appears overweight on the outside, fat accumulation has already occurred inside the body around vital organs. Overweight pets are at risk for developing weight related health disorders such as diabetes, kidney disease, cardiovascular disease & arthritis. A major study has shown that pets in excellent body condition can live two years longer! How can veterinarians and pet parents work together? Pet parents should be educated and advised of the consequences associated with obesity, the many health threats, complications and disease conditions that may arise from an overweight or obese body condition. Know your pet’s BCS and weight! Every time your veterinarian conducts a physical examination on your pet, a Body Condition Score (BCS) is recorded in your pet’s medical record. Veterinary nurses are excellent providers of nutritional health care education and monitoring or your pet. They can be an excellent resource and should be available to answer your questions. Embrace obesity so you can begin to address it. Have an open and honest discussion with your veterinarian about your pet’s health. Partner with your veterinary medical team when it comes to all aspects of your pet’s health. 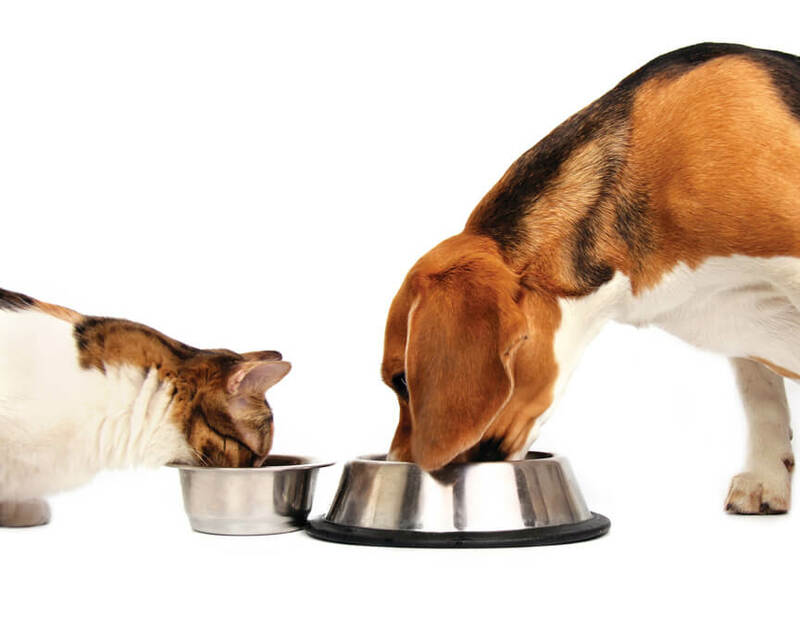 Help design a Healthy Weight Management Treatment Plan for your pet. With guidance from your pet’s health care team, create a plan that includes diet changes, exercise plan and lifestyle modifications. Set goals and re-evaluate those goals often. Studies show an enhanced bond between you and your pet when you are part of creating a healthy plan for the pet you love. Implement! Remember, this is a marathon, not a sprint. Obesity didn’t happen overnight so don’t expect an overnight miracle. Recruit all caretakers in your pet’s new lifestyle! Don’t forget to include pet sitters, pet walkers and all visitors. A successful weight management program will greatly improve the life of our pets, reduce the potential for future health concerns, increase the level of activity of pets, and ultimately will improve the human animal bond. Afterall, that’s why we’re here.